M:Communications' Russian team is understood to have agreed terms to buy out the business as the break-up of M: continues. The deal, which has not yet officially closed, is expected to spin out M:'s Russian operation into a separate entity with teams based in London and Moscow. 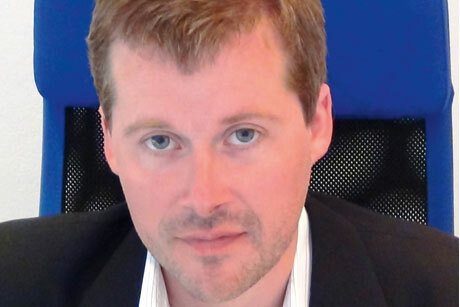 The new consultancy will be called EM and will be led by M:Communications MD, Russia, Tom Blackwell. The deal will see the entirety of M:'s 12-strong Russia-focused team in London and Moscow become part of the new agency. It is also thought that the agency's Russian client base, including Exillon Energy, PhosAgro and Russian Helicopters, are likely to migrate to the new agency. Additionally, it is understood Stuart Leasor, one of the senior executives who resigned from M: in March, will join EM in the near future. Blackwell commented: 'Although we are excited about launching a new company, there is actually very little that is 'new' about our team. The agency will continue to concentrate on serving Russian and CIS clients from Moscow and London, but Blackwell did not rule out expanding the offer to other emerging markets through agency partnerships. EM will focus on financial and crisis comms, investor relations, IPOs and M&A. Blackwell joined M: in April 2010 to build a Russian financial comms business, having previously headed The PBN Company's Moscow office. The break-up of the King Worldwide-owned business follows the resignation of a number of senior figures, including M: co-founders Nick Miles and Hugh Morrison. Last week PRWeek wrote of the launch of Vigo Communications by former members of the M: energy and natural resources team.